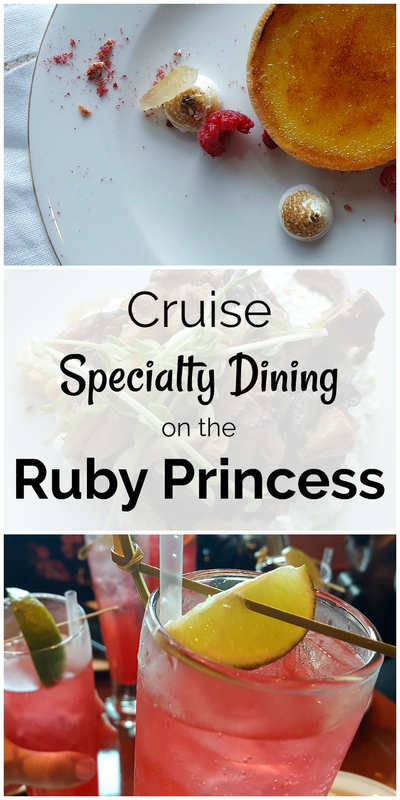 Ruby Princess Specialty Dining – Yes, it’s worth it! Cruise ship food is legendary! When you go on a cruise, you just know that you are going to eat well with the good meals that are included for all cruisers. I've often wondered, if it really makes sense to upgrade a meal for a premium dining experience. The regular cruise food is great, so do I need something even better than that? Now that I have experienced Ruby Princess specialty dining at Share by Curtis Stone, I have my answer. Yes, a premium meal on board this ship is worth it. And, it just may end up being one of the highlights of your cruise vacation. 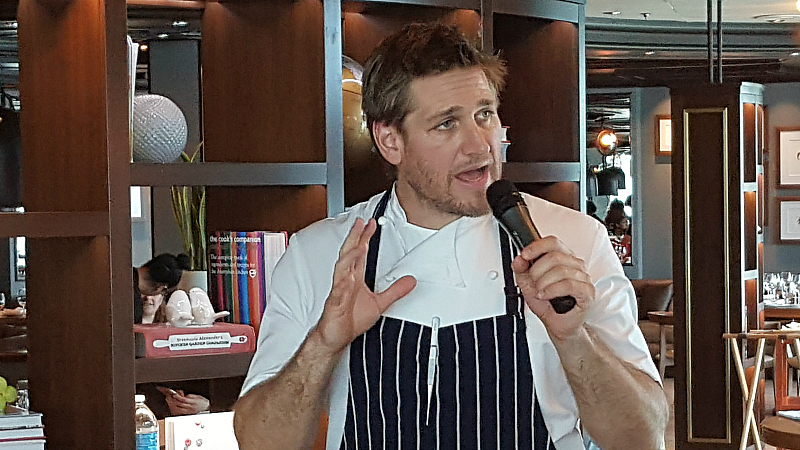 Share by Curtis Stone is a new collaboration between Princess Cruises and the famous chef. You can enjoy the experience on the Ruby Princess, as I did, or on other select ships in the Princess family. The restaurant offers a 6 course fine dining experience with a fixed menu. The meal is meant to be shared with loved ones or the new friends you've made onboard. The service and restaurant space is designed to foster conversation and an overall good experience, in addition to the good food. The following slide show has photos of the vegetarian dishes that I enjoyed. Others feasted on charcuterie, lemon poached prawns, steelhead trout and lamb loin, and I'm told that their meals were delicious, too. I thoroughly enjoyed lingering over a long meal at Share by Curtis Stone on the Ruby Princess. The food was amazing, but it was the overall experience that make this a great value. The small fee for purchasing an upgraded specialty dining meal is far less than what I would expect to pay for this meal elsewhere. It was well worth it for a vegetarian, and would have even greater value for someone who is eating the seafood and premium cuts of meat. We love all of the regular experiences we have, when we cruise. 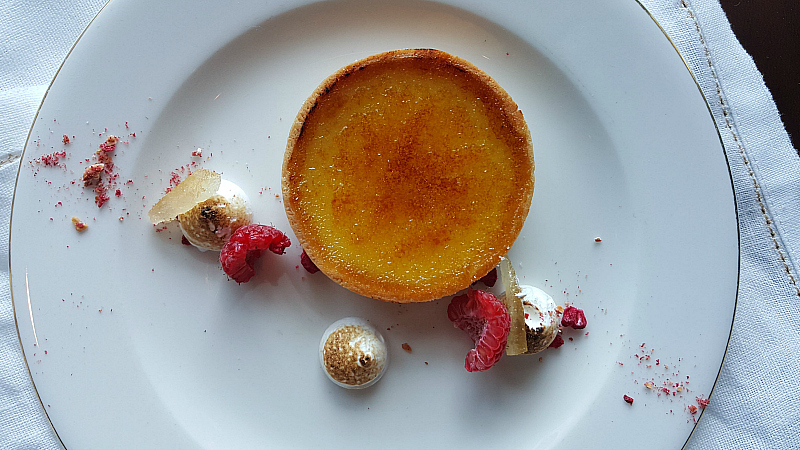 However, we also love to treat ourselves to something extra special, and a 6 course meal at Share by Curtis Stone is the perfect way to do it.